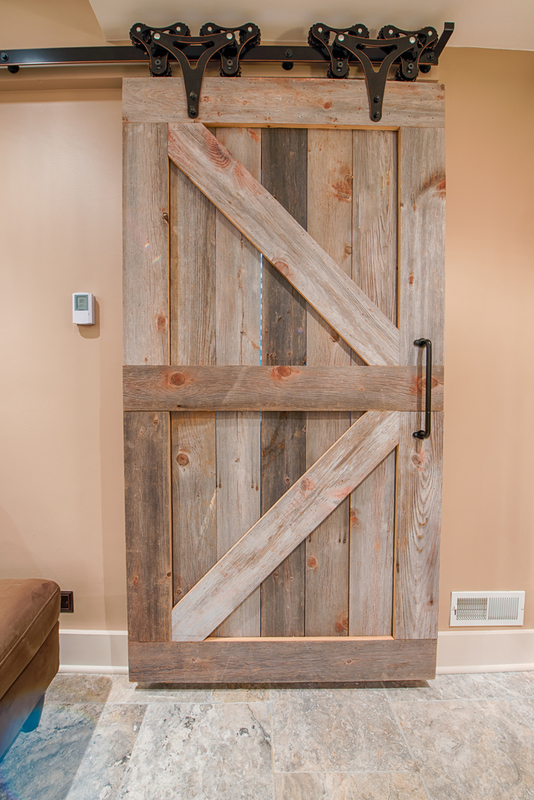 Barn doors aren’t just one of the easiest ways to start when you want to incorporate farmhouse charm into your home. 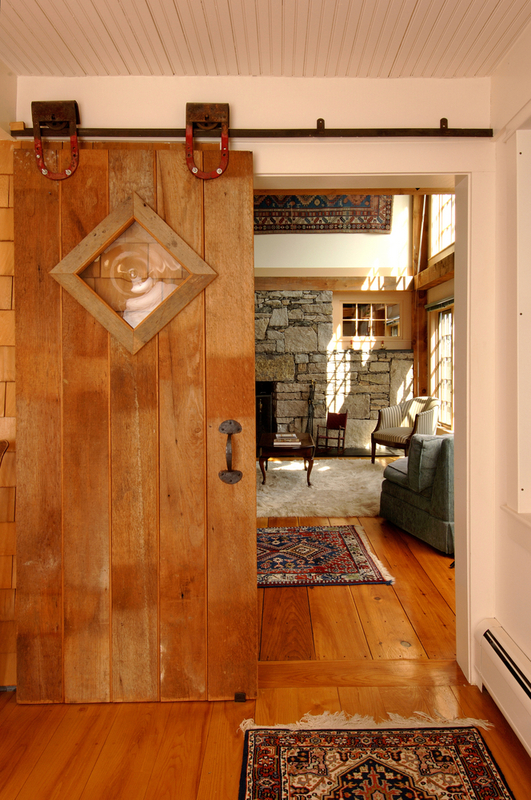 Barn doors are also a great option for maximizing space and increasing privacy. Let’s take a look at why you should start with barn doors for your own farmhouse! Barn doors, though they may all have one thing in common, are really adaptable for your own sense of style. 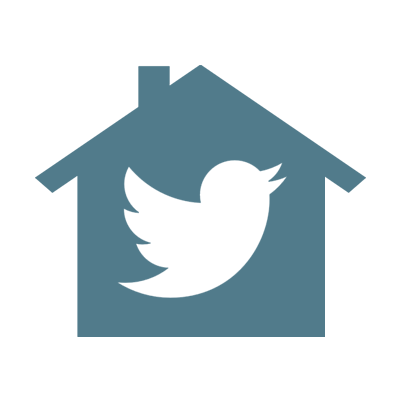 You can use barn doors that are sold at your local home improvement store. You can also go on the hunt for the perfect vintage door. The DIYer in you can also build one to suit your tastes! 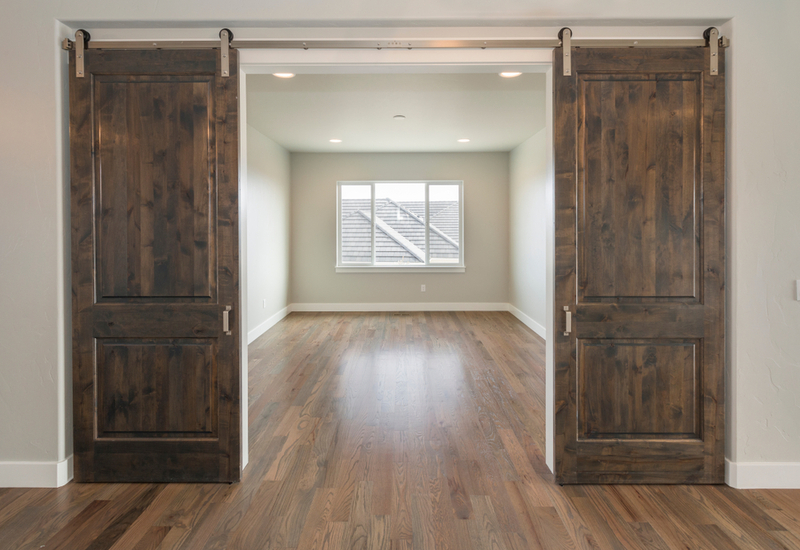 The options are pretty endless, so don’t be afraid of your sliding barn door looking like anyone else’s. 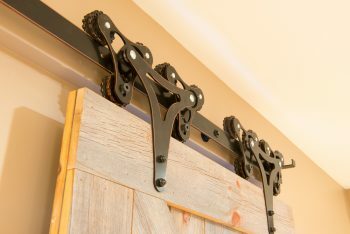 Part of the appeal of a sliding barn door is the hardware you choose to use. The hardware can be anywhere from simple to more complex and hefty looking. Whichever type of hardware you choose, think about the final look you want. The hardware makes a definite difference. One consideration when installing a sliding barn door is its location. That seems like a no-brainer, but sometimes homeowners forget to take into account that the door will have two positions–open and closed. When you slide your door open, is it going to cover up any light switches or electrical outlets? Will it block any heating vents? Be aware of these logistics before installation. If moving an electrical outlet is needed, it may not be a huge deal for a qualified electrician, provided there’s room within the wall itself. A barn door is a good option when space is a consideration. 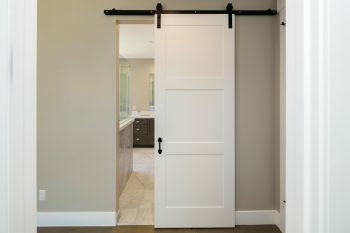 In a small space where a swinging door might be a little unwieldy, a sliding barn door could be the perfect solution. 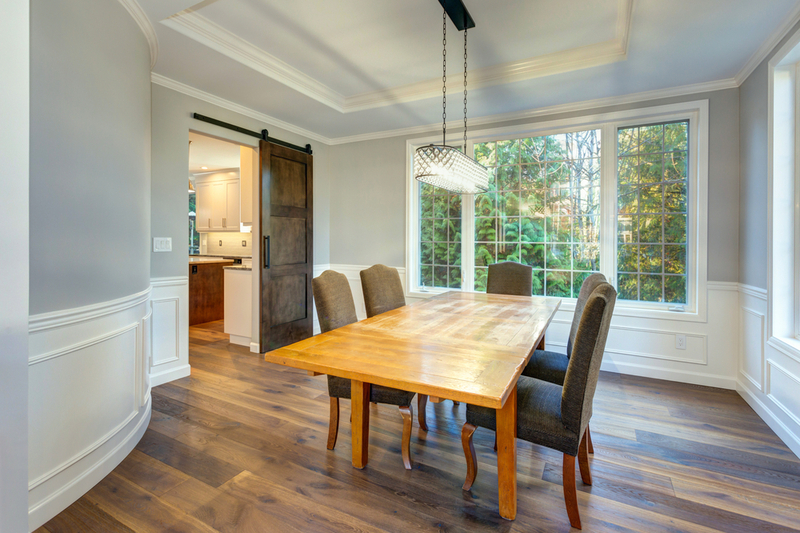 The barn door in this dining room is a perfect example of how much farmhouse flair it can bring to a classic space. I love the fact that the door is a focal point of the room, but also functional. 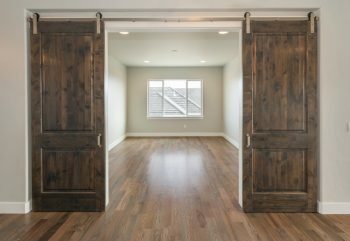 If you want to hide the kitchen while entertaining dinner guests, a sliding barn door makes a stylish statement while giving you the privacy you want when you want it. Still looking for ways to incorporate farmhouse style in your home? 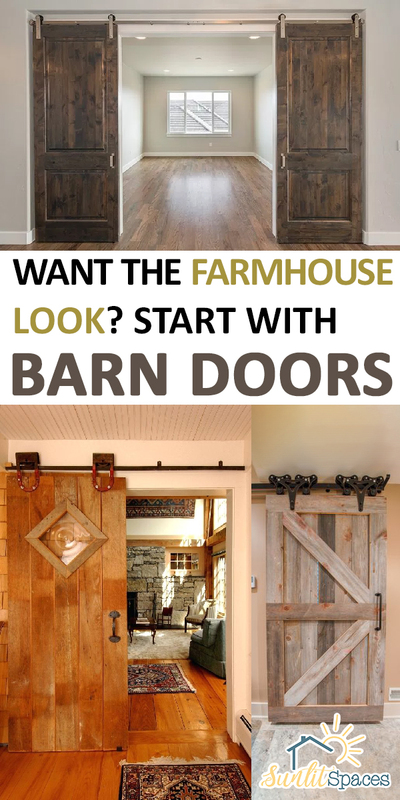 Get some barn doors and go for it!